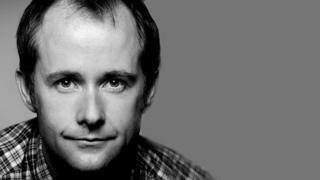 Scottish actor Billy Boyd has been named as ambassador of a Royal Conservatoire of Scotland (RCS) training initiative. Transitions 20/40 is designed to widen access to the performance and production arts. Supported by the Scottish Funding Council, it enables talented individuals from poorer communities to take part in RCS classes and workshops. The actor said he felt "inspired" after meeting the students involved. It is hoped the training provided by the scheme will prepare the students to go on to successfully interview or audition for further training at degree level. The Glaswegian, who is best known for playing Hobbit Pippin in The Lord of the Rings films, trained at the Royal Scottish Academy of Music and Drama (RSAMD), which was renamed the Royal Conservatoire of Scotland in 2011. He said: "If I had this chance as a kid, it would have been a perfect start for me and allowed me to become an actor earlier. "I had so many great memories of my time at the then RSAMD and feel truly inspired after meeting T20/40 students at RCS. "It's an exciting place to be and has evolved into a dynamic, beautiful arts hub representing Scotland." Principal of the RCS, Jeffrey Sharkey said: "We are delighted to have Billy, a world-renowned actor and musician, recognise the power of the arts to inform lives and careers. "We look forward to working closely with him to ensure the message about the creative potential of young Scots, and the potential of projects like Transitions 20/40, is spread across the whole of Scotland. "By using his own experience and our outstanding teaching, we can work together to help young people achieve their goals and dreams." The T20/40 programme is part of the Scottish government's priority area for higher education institutions to "improve access to higher education for people from the widest possible range of backgrounds".